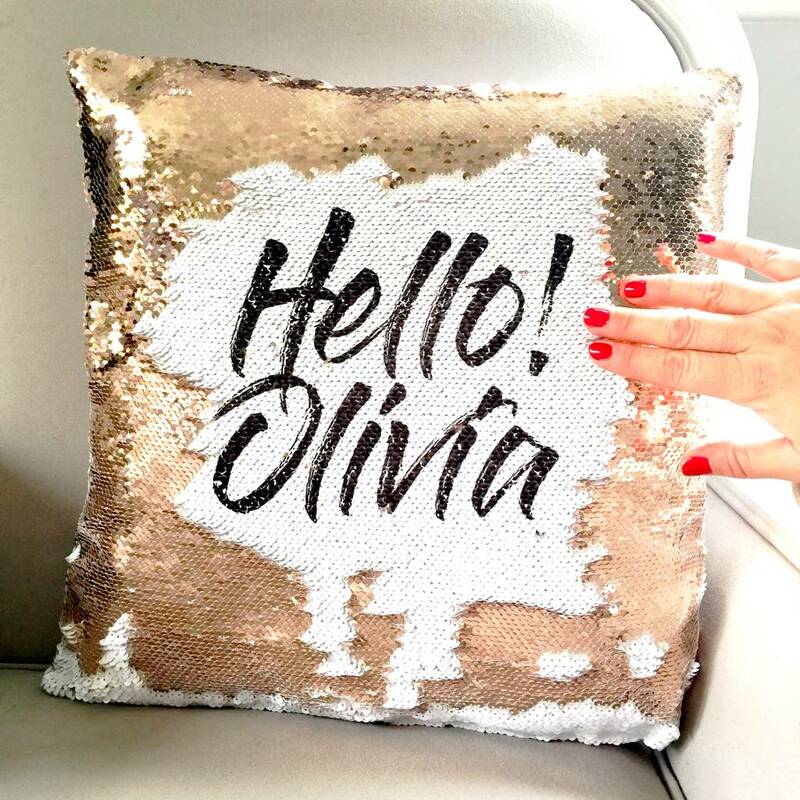 Add some love to any room with a gorgeous Pickle Pie personalised Sequin Reveal 'Hello!' Cushion Cover. Guaranteed to make you smile! 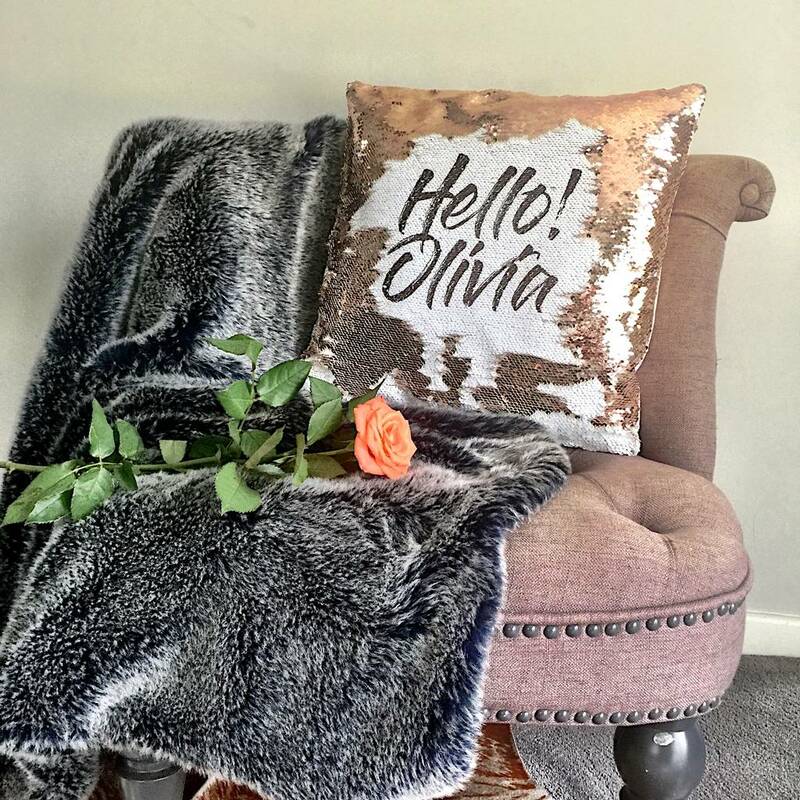 A Pickle Pie personalised cushion cover is the perfect accessory to brighten up not just your home but your day. Ideal for people of all ages, these make superb gifts for friends and loved ones. Not only will the cushion cover look gorgeous, it will make the recipient smile every time they see it. It is quite literally jam packed with love! 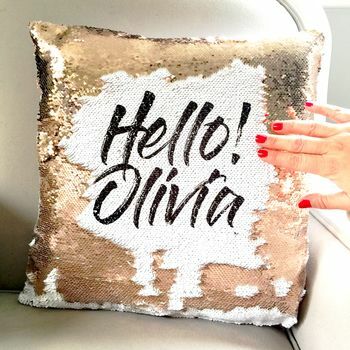 This printed Sequin Cushion Cover features gold sequins on one side and features the word Hello! and can be personalised with your own names. If you want your own message printed just let us know! Personalise with the name of your choice (Up to 20 characters) and say Hello! Gold sequins on one side and a medium weight polyester twill fabric on the other. Cushion has a zip to close. This product is dispatched to you by Pickle Pie Gifts.